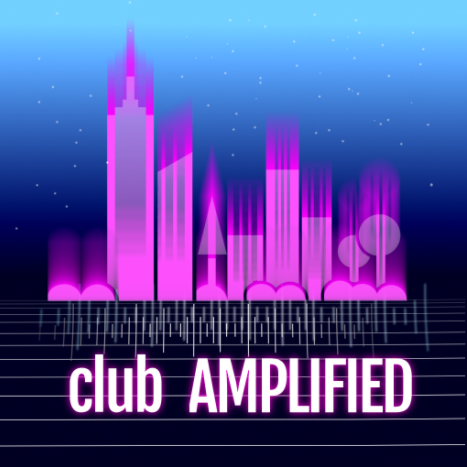 Club Amplified looking for Hosts & DJs! l^l^l Club AMPLIFIED l^l^l is looking for staff! We are an English speaking club that is looking for more talented hosts and DJs from all around the world to come and work with us. Most of our music played in the club is trance, house, deep house and dance, however we are open to hearing from DJs who play other types of music too that they are passionate about! Our hosts work as a team with our DJs to ensure all visitors get the best possible experience from our club. What do we expect from our hosts? *★* Greet as many people as possible when they enter the club via Nearby Chat. *★* Always thank your tippers no matter how much you are tipped. Preferably thanking them with their name so it is more personal. *★* ALWAYS hype your DJ and the Amplified staff to be tipped. NEVER ask for yourself!! *★* You MUST write a Notice in the Amplified VIP group 20 MINUTES BEFORE a DJ starts their set. A Half-Time Notice is optional. It is up to you as a host if you wish to send one. It is not a requirement by Club Amplified. *★* All Hosts MUST "Check-in" 30 minutes before a set is due to start in the Amplified Staff group. *★* You must let the General Managers know if you cannot make a set IN ADVANCE! It is important for us to find cover for the sets you cannot make so that the club continues to run smoothly and efficiently. *★* We expect each host to have at least 1 permanent shift on the schedule board, you are more than welcome to do more and any fill ins you wish. What do we expect from our DJs? *★* You MUST be over 90 days old UNLESS you are trained. *★* You sound good. You must sound professional and most importantly, have the ability to entertain. *★* We are looking for DJs to cover a range of shifts...from all different time zones. Flexibility in hours is a plus. We need team players that can cover shifts. *★* You should not stick to one genre of music only, we intend on bringing everyone together through music which means appreciating it even if it's not your style. Still interested in us? Come and visit and pick up an application or IM Davina Flatley for more infortmation.